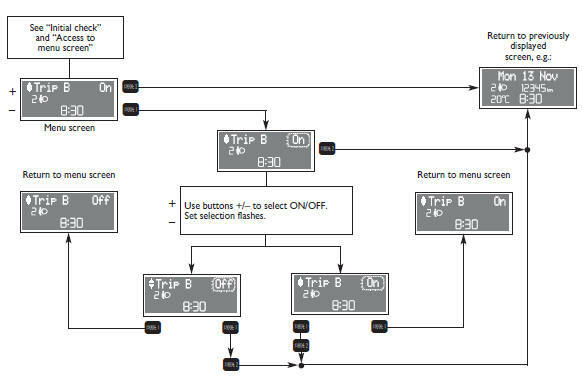 Through this option it is possible to activate (ON) or deactivate (OFF) the Trip B (partial trip) which show “partial mission” information corresponding to: Trip Dist. B, Avg. Consump. B, Avg. Speed B, Time B. For further information see “General trip - Trip B”.